Do we need a software product to write in STE correctly? NO. Software will not think in your place. To assist users and potential users of STE, there are commercial companies or organizations that market software products that support STE. These efforts are greatly appreciated by ASD and the STEMG. However, neither ASD and the STEMG, nor any organization associated with the production of ASD-STE100 intend or imply any warranty or endorsement of any of the companies or organizations that provide supporting software products. Software providers are not authorized nor certified by ASD and they cannot claim they have certification or ASD approval. It is very important that you are well informed on the fact that software providers are also not authorized to use in their material or documentation the ASD Logo, the Copyright and the European Union Trademark of ASD-STE100, even for publicity on web sites. STE checkers available on the market today should only be seen as aids for those authors having a good knowledge of STE. None of these checkers will write STE text for you. Nor can they convert non-STE text to STE. Although STE checkers can be helpful with highlighting non-STE terms and incorrectly written STE text, they are not fool-proof. STE CHECKERS CAN CORRECTLY PARSE STE TEXTS EVEN IF THESE TEXTS DO NOT OBEY THE STANDARD ENGLISH GRAMMAR! What types of aid are possible? These tools flag unapproved and unknown words, and also violations of the STE rules. Like word checkers, they need to contain your in-house technical names and technical verbs. For most of these checkers, it is an advantage if the administrator has some linguistic knowledge. These flag unapproved and unknown words. They contain all the approved and unapproved words in the STE Dictionary, with the approved forms. To be effective, they also need to contain your in-house technical names and technical verbs. If your technical names and technical verbs are not in the checker, you will get constant “unknown word” messages. These are basically electronic versions of the ASD-STE100 Specification that provide an easy means of searching for Rules and Dictionary. They may include facilities for adding your in-house terminology, but are not otherwise interactive tools. Also the electronic PDF version of the specification today has a function of a good look-up tool. The tools that exist will help you, but they will not tell you if what you have written means something or not. In addition, there is a varying degree of accuracy in the error messages generated by word and rule checkers (can be due to the checker, but can also be due to other causes). Thus, they must be used with discernment. If you rely blindly on what they tell you, you are likely to write rubbish. YOU, the author, are the one who knows, thinks and controls. YOU are the one who must decide whether what a tool has told you is correct in your context. Needs and constraints can be related to the potential users, and/or to the documentation production process. Who are the potential users of the tool: Authors? Editors? Translators? The needs and constraints of potential users may not be the same. For example, if your authors write in a language other than English, they will obviously not need an authoring aid for STE. But your translators will perhaps want to put their texts through a checker. If the potential users are authors: are they language-sensitive (are they interested in words and writing style, do they have notions of grammar)? Not all authors are language-sensitive. Some are interested only in the technical aspects of their subject, some feel ill at ease if they have to be critical of their writing. If this is the case for your authors, they are likely to feel ill at ease with a rule checker, and consequently use it without discernment. If you really want to use a rule checker, consider having an editor use the checker instead of the author. Is the native language of your authors English? If not, do they need help with English grammar and style as well as with ASD-STE100 rules and vocabulary? Make sure that the tool you choose provides help adapted to your authors’ native language. But, even if it does, consider having the finished draft texts checked again by a human editor. Grammar and style checkers will help with the more common errors. But they will not necessarily give you sufficient or suitable advice with less common errors. Will your authors accept the constraints involved in using a checker, especially a rule checker (time for checking, time for correction, …)? Some authors (chiefly those who are language-sensitive) will accept the constraints. But others may not wish to spend time thinking about the error messages and making amendments to their text. One solution in this case is to split the editing between the authors and the editor (the authors check whatever rules they accept to check, the editor does the rest). Another solution is for the editor to do all the checking. But beware: the writer must have the last word (he is responsible for the content), so he must see the edited text before it is published. If the potential users are editors or translators:·what kind of help do they need? If your authors use a rule checker, will the editor need the same checker, or would a look-up tool be sufficient? Is the tool compatible with your documentation system platform? Is the response time satisfactory? What features does the tool have? Can the checker use formatting information (e.g. XML tags) to determine which text is to be checked? What kind of documentation is provided with the tool? Does the supplier provide tool training? The preceding paragraph already contains some tips, but here are some more. Are you sure that the tool is configured for ASD-STE100? 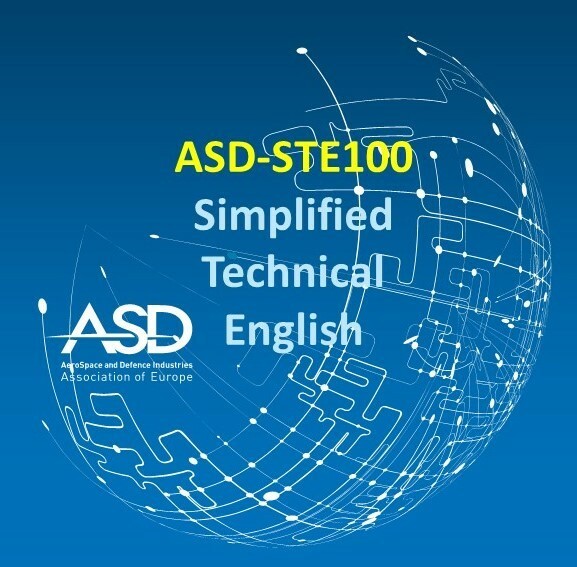 Some tools can be configured for ASD-STE100 but also for other versions of Controlled English. Make sure that the tool you are interested in is configured for STE, and that any extra rules or words that the tool contains are not in contradiction with STE. In the case of checkers, what STE rules are checked? It is not possible to check all the rules of ASD-STE100. For example, it is not possible for a checker to know whether the first sentence in a paragraph is the topic sentence. But a checker should be able to check rules such as sentence length, overlong noun clusters and passives. Some even attempt to check for the correct meaning of certain STE approved words. What is the degree of accuracy of the error messages that are generated? What is the rate of silence of the checker? The usefulness of a checker does not only depend on the error messages that it generates, but also on the messages it fails to generate. What is the rate of “noise”? Noise means messages that are generated, but that you do not want, for example, “missing article” messages when an article is not appropriate. Is the error message wording clear? The wording must be understandable to a maximum number of users. Is the vocabulary database (for your technical names, technical verbs and extra unapproved words) easy to update? The answer to this will determine how much linguistic knowledge the administrator will need. Can you configure the checker to distinguish between procedural and descriptive text? There are some differences in the rules for procedural and those for descriptive text: sentence length, and specific words. Does the checker provide a report file? This could be useful for an editor, or for the administrator of the system. Will the tool fit into your workflow, and at what stage? Example: if your authors do not wish to use a checker, and you want your editor to use it, can he /she receive electronic files, and return the checked files back to the author? If the editor is not allowed to correct the text in the file, how will he/she give the authors feedback? Layout, use of color, visibility of source text at the same time as the error messages, link with source text (highlighting the sentence involved, possibility of making corrections in the source text without leaving the checker). Does the supplier provide updates when there is a new issue of the ASD-STE100 Specification? Can you recover your vocabulary data base automatically when an update is installed? What does the Supplier charge for the updates? Will the supplier accept your comments and suggestions for improving the tool? Does the supplier provide a reliable maintenance service? Do not rely completely on the error messages generated by a checker. Judgment is needed to interpret error messages correctly and to make amendments to the text that are not only correct as regards ASD-STE100, but that are also comprehensible. A checker will not tell the user if what is written actually means anything. And in the case ofusers whose mother tongue is not English, it will not guarantee that what they have written is correct English. Make sure that the users of a checker have been trained not only in how to use the checker, but also, and more importantly, in how to write in ASD-STE100. If authors do not have a good knowledge of ASD-STE100 , it will be difficult for them to see when an error message is either incorrect, or not applicable. Organize the collection of Technical Names for inclusion in the vocabulary database. Consider setting up a procedure for approving Technical Names before they are entered in the database, and having the entries made by a single person. If you do this, you will be able to control your terminology better. DO TESTS of products before you buy them. This is the only way to make sure that a tool meets your needs and will be effective. It is not sufficient to ask just for a demonstration, or to accept blindly what the suppliers tell you. You will probably have to pay for a temporary test license, but it will save you money in the long term. Beware of suppliers who do not accept to let you test their material – try to find out the reasons! Make sure that the tool is tested not only by your data processing people, but also by future USERS, the people who will have to live with it once it is installed. If they do not like it, don’t buy it. Make sure that these users are experienced in STE. Otherwise, they will not be able to judge the accuracy of the tool.